Marta Górnicka gathered over 50 people from both »left« and »right« wings of the political conflict in Poland: Actors, Football Fans, members of the Strzelec Shooting Association, Christians, Vietnamese, Jews, the Chorus Of Women, Muslims, Refugees, People with Down Syndrome, Pensioners, Children. 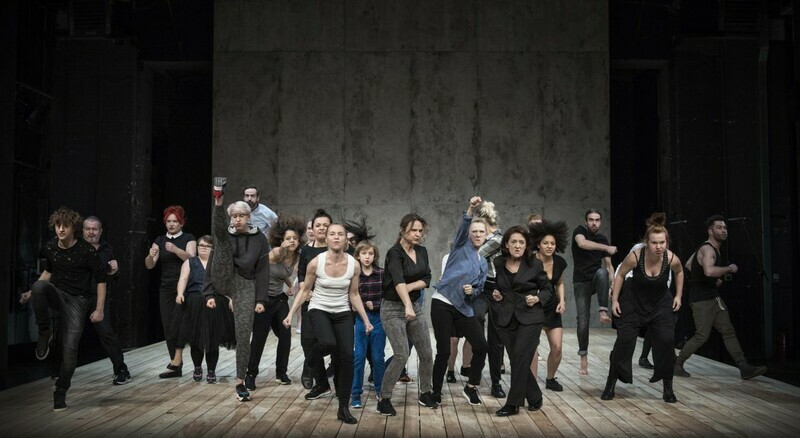 The show premiered on the 1st of May 2016 at Nowy Theatr in Warsaw, the International Worker’s Day, during a great national debate caused by the turmoil surrounding the Constitutional Tribunal. Marta Górnicka reacted to this crisis with a powerful gesture: she showed that the Polish constitution is not a project of an ethnically homogeneous group, but of a very diverse community of individuals. 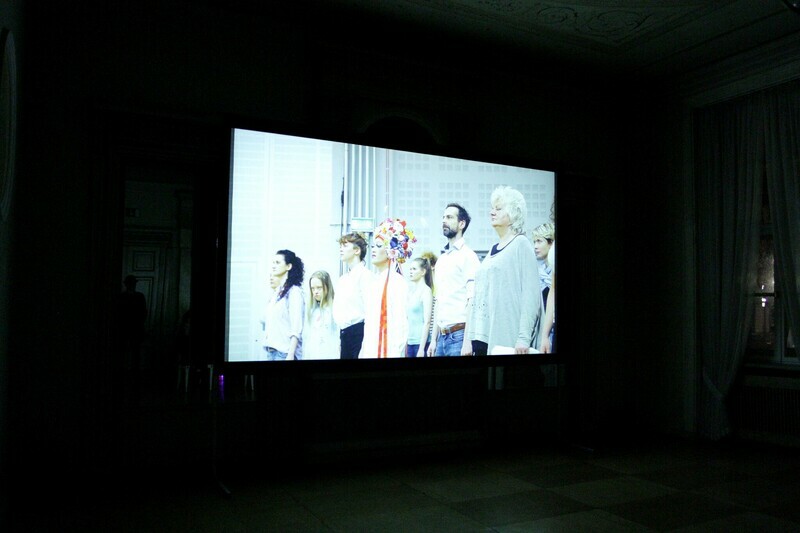 Hymn to love is a piece about Europe that closes the ranks and shouts: Give us our country back! Poland joins in this chorus with zeal. It is the latest play in the director's European triptych inspired by Mother Courage. The image of an orchestra playing music in death camps and the Holocaust are a starting point for Górnicka to address the rise of present-day European nationalism and the migration crisis. In her libretto to HYMN TO LOVE, Marta Górnicka exposes the obscene language of politics today, quoting statements by fundamentalist fighters and terrorists (including fragments of Anders Breivik's manifesto 2083 – A European Declaration of Independence, and speeches by ISIL leader Abu Bakr al- Baghdadi and Osama bin Laden) alongside speeches made by legitimate politicians. Górnicka mashes up Internet hate-speech with pop lyrics and patriotic songs. She makes use of musical and ritual structures, and samples national anthems and fragments of church liturgy in an attempt to determine where the song that emerges out of all these sources might take us. On 12.11. after the performance, there will be a public discussion at 8:30 pm. Marta Górnicka founded the Chorus of Women with support of the Warsaw Theatre Institute. In 2010 her first play Hier spricht der Chor premiered in Warsaw. Her productions Magnificat and Requiemachine were shown internationally.